Our organization Shree Firepack Safety Private Limited,offers a distinct range of Asbestos Rope that is available in several specifications. These are widely demanded in several industries for various applications such as sealing, caulking and heat insulating material on heat conducting systems and on thermal installations. These are widely appreciated their excellent durability and unique quality. We are manufacturing, importing and supplying feature-rich Nonmetallic Twisted Asbestos Rope that finds its applications in diverse industries, such as Power Stations, Textile Industries, Welding Works Chemical Industries and Refineries for sealing, caulking and as heat insulating medium on heat conducting systems and in thermal installations. These are manufactured using the highest-grade raw materials and cutting-edge technologies and by stringently checking for efficiency, flexibility, strength and durability, temperature and chemical resistance. Leveraging on our industrious experience, we offer asbestos Non Metallic Asbestos Ropes in standard as well as in customer specific options. We make use of Our finest quality asbestos yarn. Our workers take a Lot of care in making good quality fiber yarn so that our braided ropes last longer with more strength. 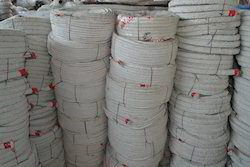 Asbestos rope ,type of popular sealing element in manufacturing equipments, handling heat such as furnaces, boilers, and high temperature instruments. These are manufactured using white chrysotile yarn twisted around in m/c. 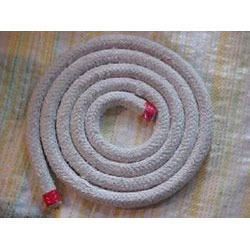 We are the leading manufacturer, supplier and importer of Asbestos White Rope. 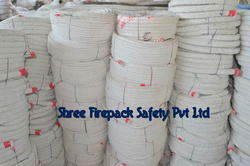 Our organization Shree Firepack Safety Private Limited, offers manufacture & supply a distinct range of Braided Asbestos Rope that is available in several specifications. These are widely demanded in several industries for various applications such as sealing, caulking and heat insulating material on heat conducting system and on thermal installations. These are widely appreciated their excellent durability and unique quality. It can also be known as asbestos ropes, non metallic asbestos ropes, metallic asbestos ropes, asbestos packing ropes, asbestos weaved ropes, industrial asbestos ropes, asbestos rope lagging and asbestos gland ropes, industrial asbestos ropes, jointing seal asbestos ropes, asbestos ceramic ropes and round asbestos ropes, asbestos ropes industrial ropes and ceramic products such as ceramic blankets, ceramic ropes , ceramic cloths, ceramic tapes, teflon ropes, industrial asbestos ropes and pipe insulation asbestos ropes, asbestos ropes, industrial asbestos ropes, white asbestos ropes, construction asbestos ropes, coated asbestos ropes, asbestos fiber ropes, suspensoid asbestos ropes, flexible asbestos ropes and asbestos packing ropes, asbestos ropes, packaging ropes, non-asbestos packing ropes, flexible asbestos ropes, non-metallic asbestos ropes, industrial ropes, corrosion resistant asbestos ropes and pump ropes, asbestos ropes, lubricated asbestos ropes, braided asbestos ropes, twisted asbestos ropes, round asbestos ropes, square asbestos ropes, metallic asbestos ropes and non metallic asbestos ropes. Leveraging on our industrious experience, we offer Asbestos Braided Ropes in standard as well as in customer specific options. We make use of our finest quality asbestos yarn. Our workers take a Lot of care in making good quality fiber yarn so that our braided ropes last longer with more strength. Asbestos rope, type of popular sealing element in manufacturing equipments, handling heat such as furnaces, boilers, and high temperature instruments. 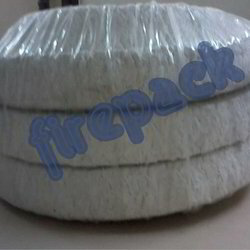 Asbestos rope are manufactured using white Crystal yarn twisted around in m/c. Asbestos Round/ Square ropes are widely used in the heavy machinery industry in the processes of heat insulation of pipes and boiler sealing, hot blast valves, blue cap doors. Industrial Asbestos Fiber Rope are widely used in the heavy machinery industry in the processes of heat insulation of pipes and boiler sealing, hot blast valves, blue cap doors.